With the P3, Cervélo's engineering benchmarks are perfectly aligned with our riders’ benchmarks: greater power, enhanced aero, and consistent performance. BBRIGHT: This asymmetrical 79mm bottom-bracket standard yields stiffer and lighter frames and crank systems. 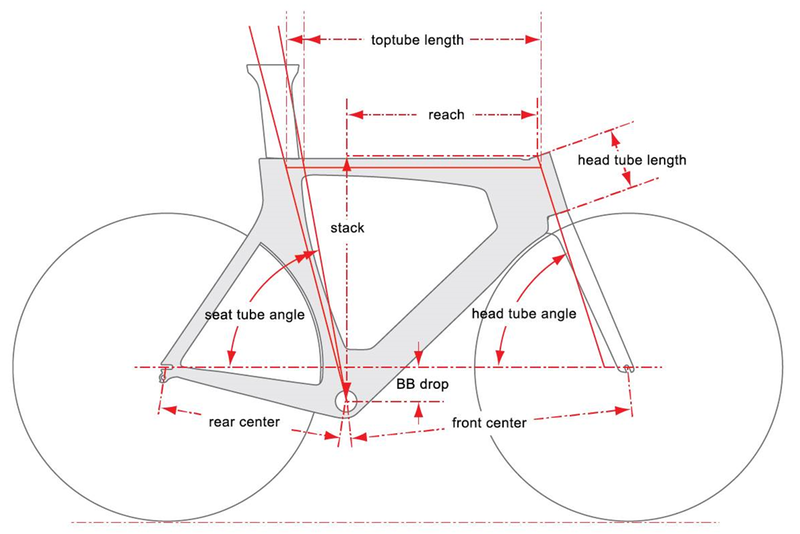 DROPPED DOWN TUBE: Reduces drag by treating the front wheel and frame as one aerodynamic shape. FUTURE-PROOF CABLE MANAGEMENT: Ensures your frame is compatible with all current and future derailleur and brake systems. EVOLVED STEERER DESIGN: The fork steerer’s diameter has a noticeable effect on a bike’s handling. Evolved steerer design applies the diameters and taper designs that best suit each model. SHIELDING SEAT STAYS: Hide the rear brake callipers from the wind, not from the mechanic. Properly formed seat-stays improve airflow over callipers without complicating access and service. REDUCED-FRICTION BB GUIDE: Significantly reduces cable friction in the bottom bracket, which means smoother shifting, easier setup and longer service intervals. Intuitive assembly, accessible nutrition, and a wide range of fit options mean you don’t have to sacrifice speed for usability.